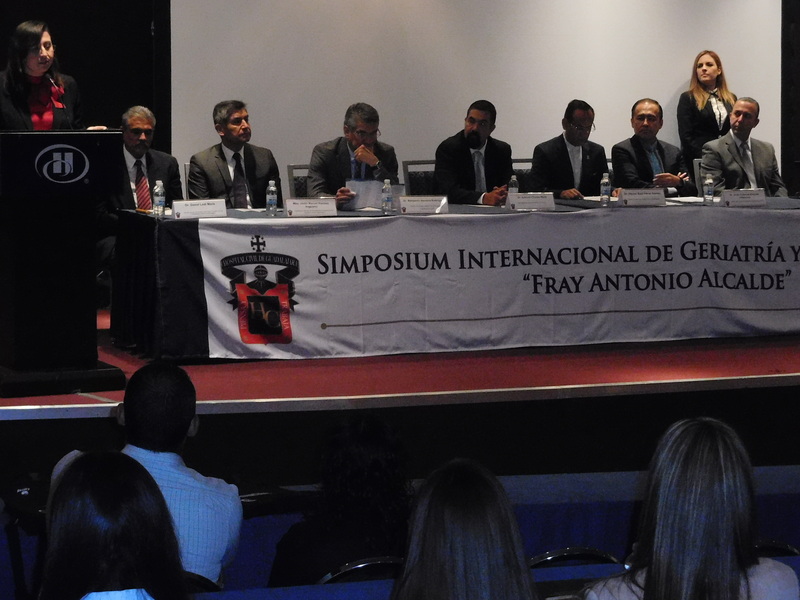 The Hospital Civil “Fray Antonio Alcalde”, also known as the Old Civil Hospital, produced its 21st International Geriatric and Gerontology Symposium July 7-9, 2016, at the Hilton Hotel auditorium in Guadalajara, Mexico. The theme was “Enfermedades Neurodegenerativas en la Vejez”, or, Neurodegenerative Illness in Older Adults. There were about 250 attendees as well as one pharmaceutical company (Asofarma de Mexico, S.A.), one hospital supply company from Switzerland, and a private pay day care senior center (www.vidavi.mx) offering business cards, pamphlets, free pens, and carry bags to participants in the registration area. Four geriatric physicians from the hospital organized the event – Dr.David Leal Mora (the international section), Dr.Hector Ivan Cruz Neri, Dr. Julio Alberto Dias Ramos, and Dra Rocio Garcia Talavera. Guest speakers were from Guadalajara, Leon, Mexico City, and the U.S. There were memorable talks about the Use and Abuse of Antipsychotic Drugs, Managing the Symptoms of Parkinson’s, When a Day is 36 Hours, Evidence-Based Geriatrics, Government Assistance Programs for Older Adults, and Can We Prevent Dementia? 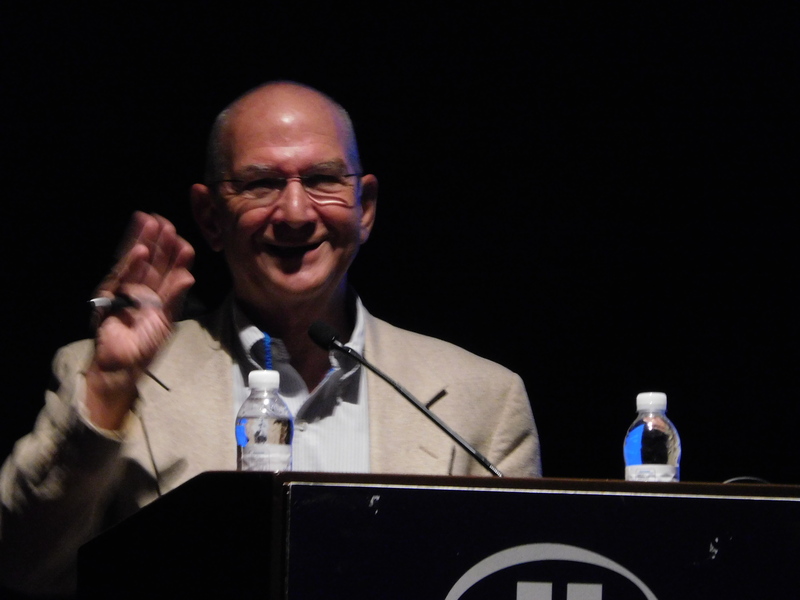 What stood out most were the physicians, both American and Mexican, who are exploring and interested in alternative non-drug options for dementia prevention. The common theme – we must all be vigilant in keeping our cognitive skills sharp to the very end, if possible. http://www.latimes.com/opinion/op-ed/la-oe-stone-solvadi-drug-pricing-20160705-snap-story.html By Daniel Stone, MD, internal medicine and geriatric specialist, Los Angeles, and, Pres of LA Society of Internists. Another physician calling for a stop to the increasing costs of drugs and “pharma greed”. http://www.AlzheimersDementiaSummit.com focusing on dementia prevention and alternative remedies that already exist for protecting our brains and our minds. Produced by Jonathan Landsman, a natural health advocate with physicians and others as guest speakers – Dr. Russell Blaylock, Dr. David Jockers, Donna Gates, Dr. Mark Hyman, Josh Axe, Sayer Ji, Michael T. Murray and many others. I missed this July 2016 summit on line but believe it might be available to listen to. http://yournewswire.com/harvard-professor-says-prescription-drugs-are-killing-population/utm_content=buffer7c70d&utm_medium=social&utm_source=facebook.com&utm_campaign=buffer article is not professionally written, has a sensational headline, and, requires quotes and some fact-based evidence. FASEC (Fundacion al Servicio del Enfermo de Cancer/Foundation Serving Those Ill with Cancer), together with Care Partners International of Washington state, and the University of San Francisco, Quito hosted a palliative care training in Spanish for five days, April 20-24, the first in a series of four trainings for physicians, nurses, psychologists, volunteers, and others. The well-attended event drew healthcare workers from Cuba, Cuenca, Europe, Mexico, and the U.S. The main speaker was Dr. Susana Lua Nava, a highly regarded Mexican educator and nun who teaches throughout Mexico and at UAG (Universidad Autonoma de Guadalajara). She runs a hospice, Juntos Contro El Dolor (United Against Pain), with three nurse nuns and a staff of volunteers. Dr. Lua and her team are dedicated to the alleviation of pain in all – no matter a patient’s background, religious belief, or economic position. 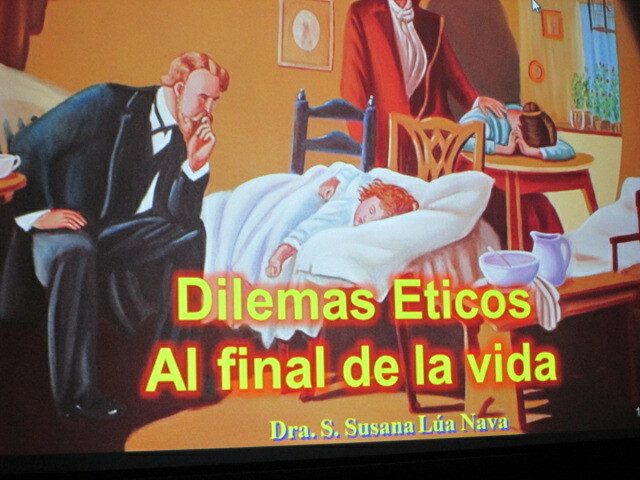 Dr. Lua, author of El Enfermo, Terreno Sagrada/The Ill, Sacred Terrain, offered several slides of her work in Mexico and Spain, gave stunning examples of patient care, and spoke about dying at home or in a hospital (advantages and disadvantages of both), myths and realities on the use of morphine, the art of sharing sad news, and preparing the spirit, among other subjects. The most riveting discussion was on ethical dilemmas, a subject she teaches often – why and who one tells or does not tell of their terminal condition based on socio-economic backgrounds, culture, expectations, and other factors. The next FASEC trainings are scheduled for the second week of June, the third week of July, and a week in October. For contact information and more story details please click on the link below. I am super excited to attend this on-line conference (a webinar), open to the public, on Dying in America – what we can do for better communication with patients and their families, what education and development opportunities can be created and implemented, and most of all how we can create a future where palliative and hospice care is serene, comfortable, painless (should the patient wish this), supportive, and honoring free will. See link below for details. IOM looks deep into end-of-life care. Long-term care facilities would have to meet more comprehensive emergency preparedness guidelines, under a newly proposed rule from the Centers for Medicare & Medicaid Services. Events such as the Sept. 11 attacks, Hurricane Katrina and recent devastating floods around the nation have shown that current emergency preparedness requirements for Medicare and Medicaid providers are inadequate, according to the 120-page proposed rule. Therefore, CMS has drafted more robust requirements for providers and suppliers. Long-term care facilities would be subject to similar requirements proposed for hospitals. These are based on the principle of “all-hazards planning,” the rule states. This means planning should not involve developing highly specific plans for every conceivable threat, but should focus on creating the capacity to handle a spectrum of emergencies. The government has identified 15 scenarios for healthcare providers to use in assessing their risks, including natural disasters, cyber attacks and biological attacks. Based in part on a risk assessment, hospitals should develop specific policies and procedures, the rule states. These include such items as tracking the location of staff and patients, and ensuring that medical records are “secure and available” in an emergency. Long-term care facilities would be responsible for meeting all the hospital requirements, with some specific adjustments and additions, according to the rule. LTC facilities would specifically be directed to account for missing residents during a disaster, would have to determine what emergency planning information should be shared with residents and families, and should evaluate the need for chargers or electrical outlets for items such as motorized wheelchairs. Click here to access the complete document, issued Dec. 27. Comments are being accepted through Feb. 25.